Find answers to your life’s biggest questions. Talk to the church pastor at Second Baptist Church in Monclova, OH, and let your life be filled with wisdom. Receive spiritual healing through learning about Bible teachings. Rejuvenate your spirit as we share the divine Word of God to you. Pastor Jerry .L. Boose is a born native of Toledo, Ohio. He has been married to a wonderful and extraordinary woman, Mrs. Debra Boose, for 37 years. They have one daughter, Miss Arianna Boose. Being the Pastor of Second Baptist Church, his greatest reward in life was being called by God to teach the scripture, to see people live out God’s blessings in their lives, and to work for God in developing a strong Kingdom Building ministry wherein God may be glorified. He attended Stewart Elementary, Jesup W. Scott High, and the University of Toledo. He received his diploma in Biblical Studies at Ashland Seminary. He received his Masters of Biblical Studies and his Doctoral degree of Divinity at Eastern Missouri Bible College. Pastor Boose is an Administrator for the Toledo Fire Department. His responsibility involves the health benefits for the City of Toledo Firefighters and their families. 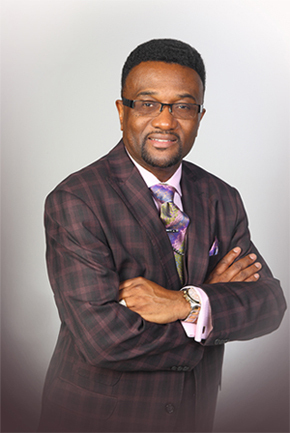 He is also the President of FC Productions, owned by Toledo’s own Gospel group First Creation. His interests are golfing, reading, and spending time with his family. Pastor J.L. Boose greatest dedication in life is to God and God’s people. His life is devoted to teaching God’s word of love and salvation from this life to eternal life. Let our pastor together with the church’s first lady and the rest of Second Baptist Church help you grow spiritually and attain a broader understanding of the Lord and the gospel. With us, you can find another family who will be there to remind you of God’s unending love. Call us or schedule a visit to our church and receive spiritual guidance and helpful solutions to life’s tribulations.